​This site is dedicated to the building and operation of this mid-sized, HO scale model railroad. To allow for the "hows and whys" of this fictitious railroad history has been modified (rewritten) to allow for a history of this free-lanced railroad to exit. The original (real) Colorado Central Railroad was incorporated in 1865 and in 1899, following numerous financial reorganizations; it became part of the Colorado and Southern railroad, a subsidiary of the Chicago, Burlington and Quincy (CB&Q) Railroad. The right-of-way was eventually acquired by the Union Pacfic Railroad. ​The Union Pacific Railroad originally proceeded south from Cheyenne, Wyoming to reach Denver in this same time period. For the purposes of the modern Colorado Central Railroad that is being modeled, these two historical facts have been ignored. The (modern) Colorado Central, Northern Division, follows the current Union Pacific route from Cheyenne to Denver. The following pages will be under continuous revision as the layout construction progresses. I owe most of my model railroad training to two people, my father and W. Allen McClelland of Virginian and Ohio fame, and I graciously thank them for their mentoring and patience. In addition, I have to credit my wife for her patience and understanding, as well as her ability to put up with living with a train nut like me. My father gets credit for introducing me to model railroading when I was very young and encouraging me to continue to work at the hobby. I received my first American Flyer train set when I was six years old and as I jokingly state, he let me play with it when I was 12. When I was 15 or 16 years old he provided me with my first HO set and assisted me in building my first layout -- a double concentric loop arrangement with an overhead loop on a 5 X 8 flat top table. In 1978, I had the opportunity to take a 10-week model railroad class taught by Allen McClelland. Allen, who has become a friend, taught the class all of the various aspects of the hobby from model construction to planning, painting and operation. This class really reengaged me in the hobby and although my military career did not always give me the time that I would have liked, I pursued the hobby through reading and model building, while planning for the future. Thanks, Allen. THE AUTHOR: Ric Zimmerman is a retired Air Force officer, living in the Dayton, Ohio area. 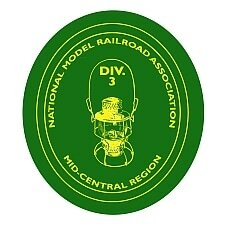 He and his wife Judy are members of the National Model Railroad Association and active in the local division, Miami Division, Mid-Central region of NMRA.